Last month, South Koreans were shocked to learn a Korean soldier went on a shooting spree at a front-line Army unit, killing five people and injuring seven others. The South Korean Army sergeant, who was only identified by his surname Lim, fired about 10 shots with his K-2 rifle near a general outpost (GOP). He then fled the scene with a grenade, a gun, and some 60 rounds of ammunition, prompting the military to launch an extensive operation to catch the fugitive soldier. He was later captured without causing further casualties. As it turns out, before the shooting Lim was the target of mocking from his colleagues, which left him feeling alienated. As such, Lim’s case highlights the necessity of reforming South Korea’s military culture. In an effort to reform military culture and to prevent similar cases from happening in the future, South Korea’s Army announced on July 13 that it will dispatch professional counselors for army units located at GOPs (the frontlines). An unnamed Army official told Yonhap News Agency that it will dispatch about 20 counselors to the units at GOPs in order to help soldiers cope with the high stress assignment. There are already professional counselors working with Army units across the nation, but this will be first time that units at GOPs will have them. The government first launched the counselor system in 2005 in order to revamp military culture. By 2013 there were almost 200 counselors. That number rose to 246 this year. South Korea’s Ministry of Defense originally planned to dispatch at least one counselor to each regiment by 2017. However, with the recent shooting incident, it has decided to accelerate this process. Meanwhile, the official who spoke to Yonhap said there are a growing number of “custody sergeants” assigned to GOP units, which is exacerbating the issues the military is facing. Custody sergeants are soldiers who are struggling to adjust to military life. Around 22 percent of the soldiers in the 22nd Infantry Division, where Lim was working when the incident happened, are categorized as custody sergeants. Another 3.6 percent of them are classified as “special custody sergeants,” who need even more extensive care. The Army is also currently running two special camps– Vision and Green camps– to train soldiers who are struggling to adjust to military life. The number of soldiers who went to Vision camp between 2009 and 2013 is 21,723 while 6,818 soldiers went to Green camp between 2011 and 2013. 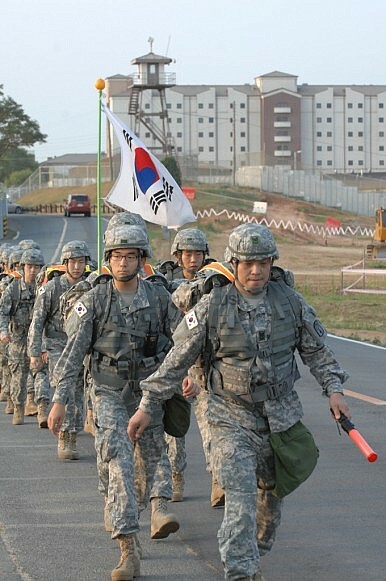 Since the main goal of those two camps is to help soldiers who are struggling to adjust to military life, counselors are expected to play a very important role, the Army official told Yonhap.